Good morning, dear friends! The holiday season is ending and we had such a lovely time. The Christening of our baby, the whole family gathering together, seeing old friends were reasons to feel happy and blessed. Living far away from our hometowns, family and friends is tough. So every time we meet is a reason to celebrate! Seeing friends that you haven’t seen for a year and feeling so close is a magical feeling, right? This is the magic of true friendship. It lasts even though there is no hanging out with your friend. Let’s cook now! The inspiration for this recipe belongs to my hubby, Kostis! I have grown to love split peas thanks to him. 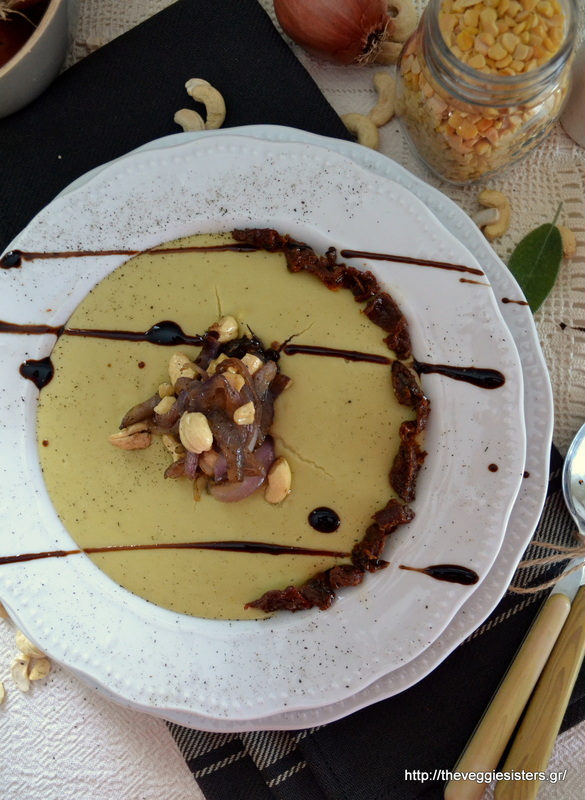 Split peas with caramelised onions, sundried tomatoes, cashews, scented with sage. This dish is out of this world! I higly recommend it! The ingredients pair so well that you will be surprised! Rinse split peas and cook in a pot with salted water in medium heat. Add onion. When liquid is absorbed (after about 45 minutes-1 hour), remove from heat. Pour olive oil, season with pepper and puree with an immersion blender. In the meantime saute onion in a non sticking pan with sugar and sage. Saute on medium heat until the onion gets translucent. 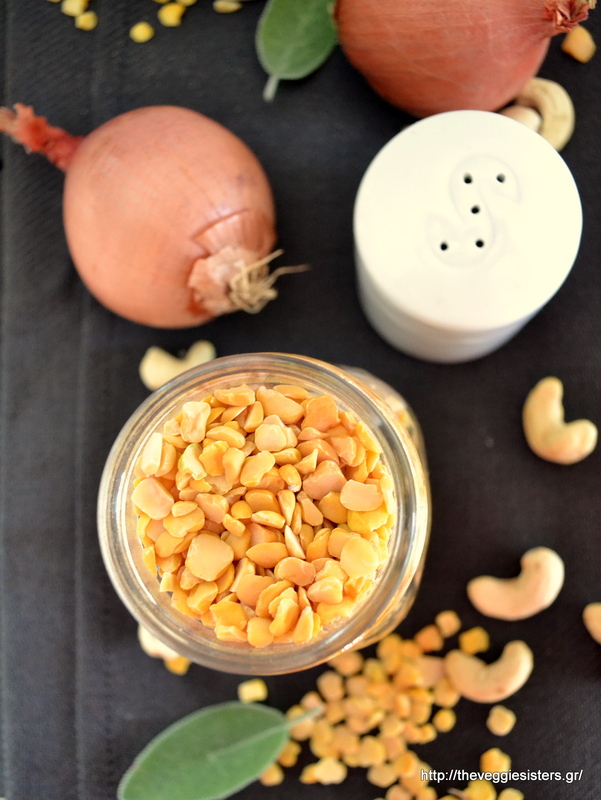 Add sundried tomatoes and cashews. Season with salt and pepper. Serve split peas and top with onions. Garnish with balsamic cream. Enjoy! Share the post "Split peas with caramelized onions and sun dried tomatoes"